The weekend is here and the weather is great so put away those take-out menus and fire up the grill. Tonight try making a Black and Blue Burger! I made these during the Labor Day holiday weekend and they were so simple to make. 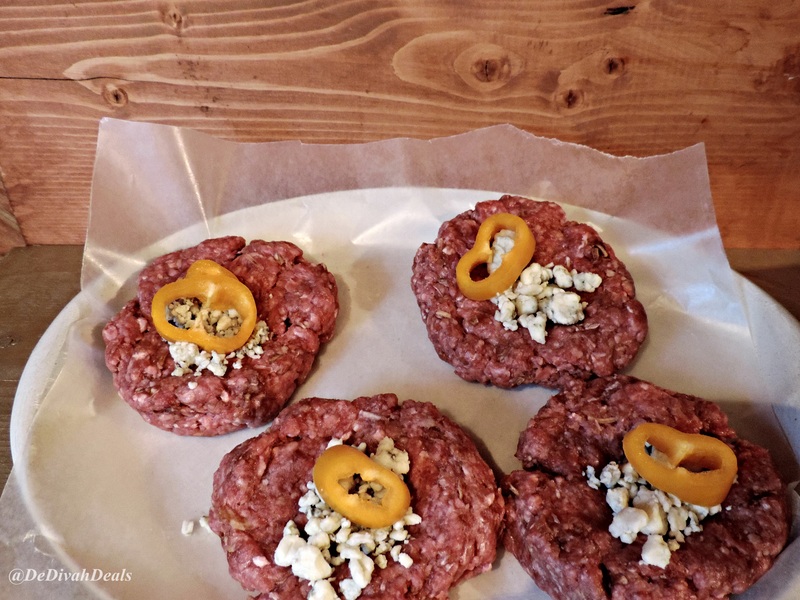 You can use either Blue or Goat Cheese to jazz up an ordinary burger. 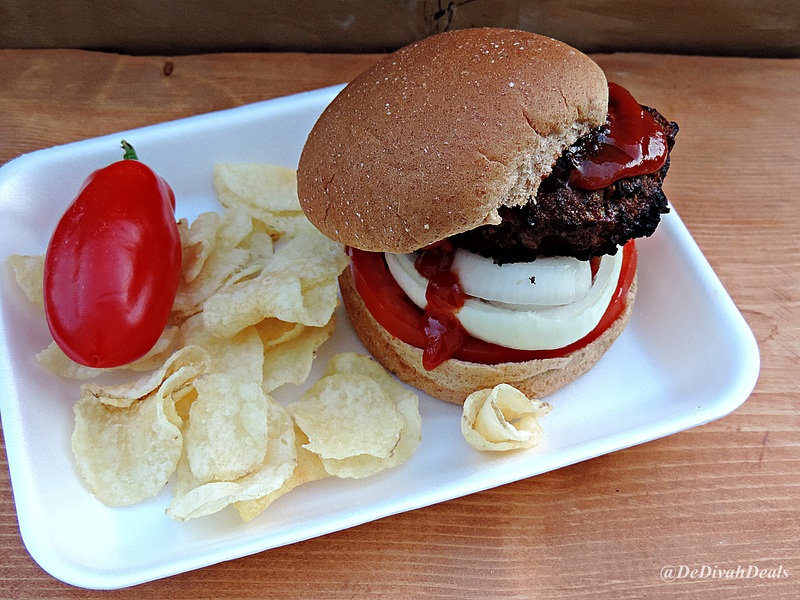 There were only a few ingredients I needed to create these delicious burgers. 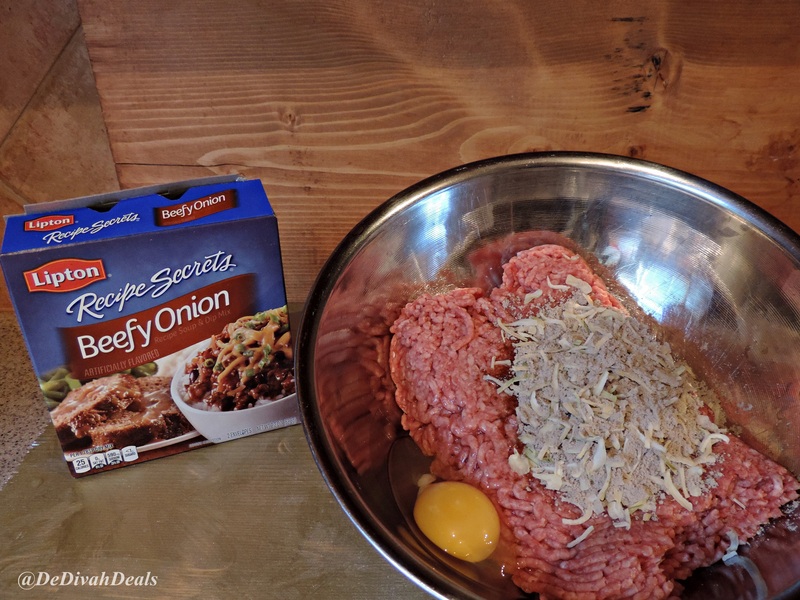 Mix the ground beef, egg and packet of Lipton Recipe Secrets in a medium bowl. I usually wear plastic gloves because I hate having meat under my nails, but make sure to wash your hands after handling raw meat even if using gloves. 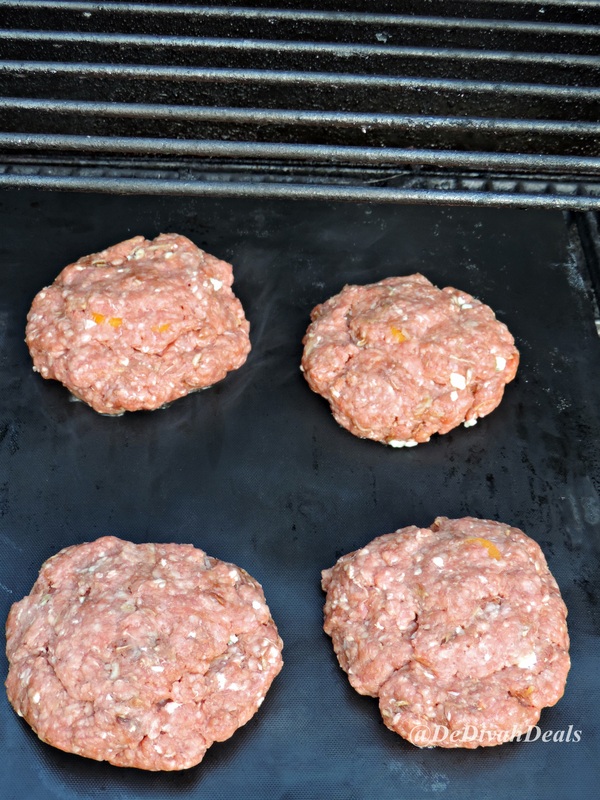 Separate meat into 2 equal portions, and use just enough to make the number of patties required. With your thumb make a dimple in the middle of each patty. 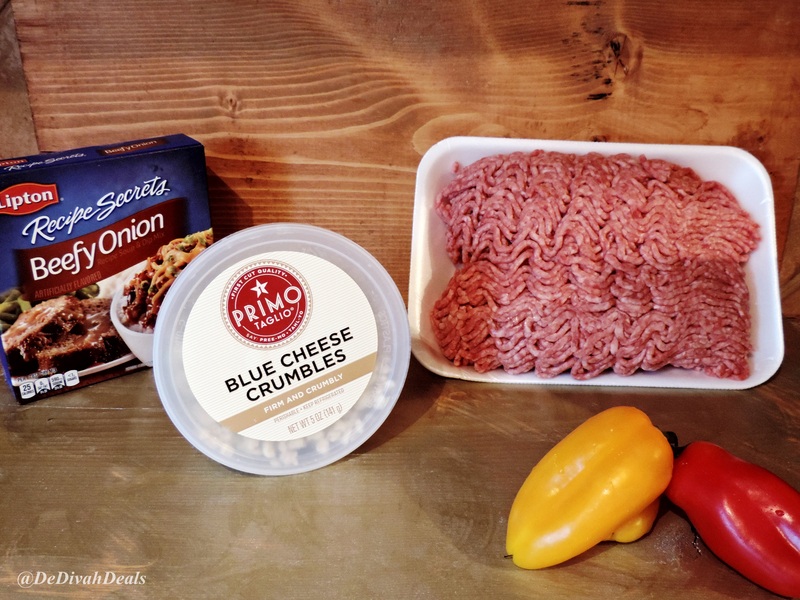 Sprinkled on a few pieces of Blue Cheese Crumbles then top with a slice of pepper. 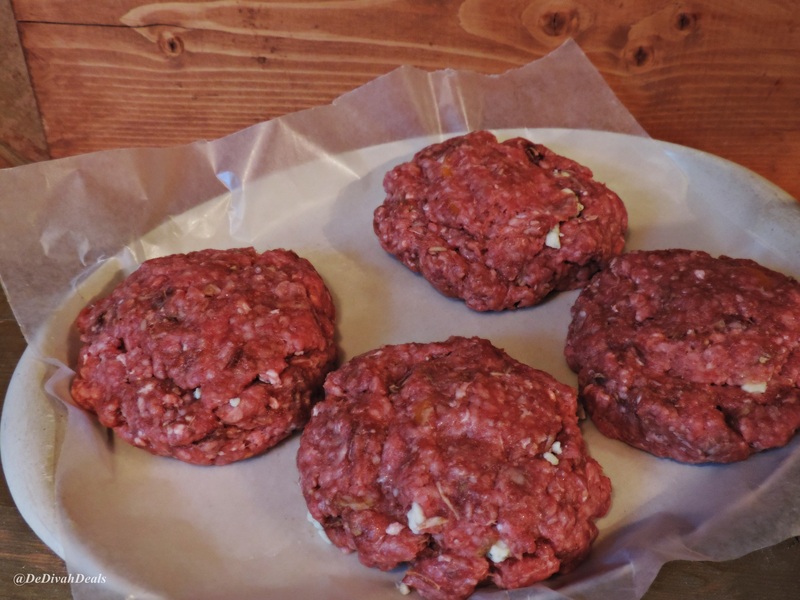 Use the other half of beef to cover each patty, pinch the sides to ensure cheese crumbles are covered. Fire up the grill and cook patties for approximately 8 mins on each side or until thoroughly done reaching an internal temperature of at least 160 F.
BTW, I left mine on the grill too long and burned them, hence the title “BLACK and Blue”, so keep an eye on them. 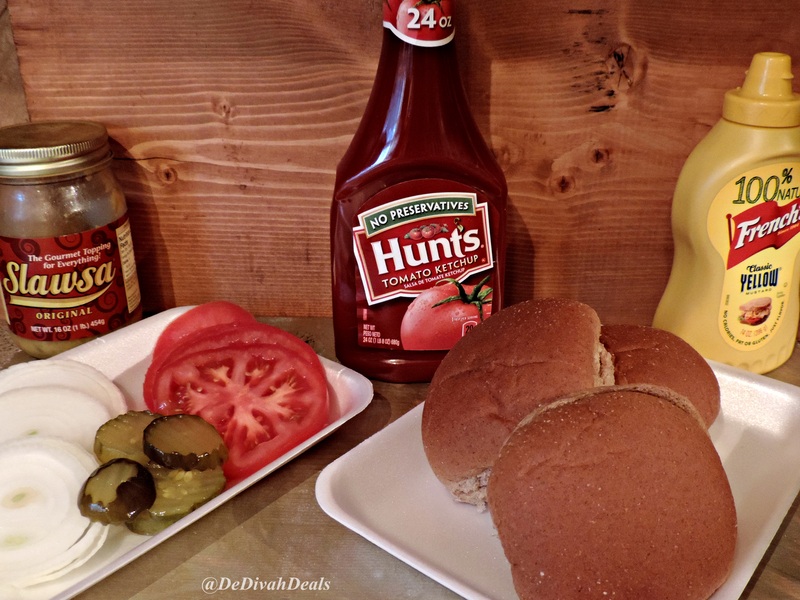 While the burgers are cooking, “dress your buns”. I like mine lightly toasted with raw onions, sliced tomatoes, ketchup and pickles! My men and I all love cheese so you know this is the only way I make burgers on the grill or on top of the stove! Thank you my bloggy friend. I hope all is well in your world and that you have a super duper weekend! Mmmmm mmm mmm Looks delicious. I want some. Thank you, we don’t eat a lot of beef which is probably why they burned! This just gave me a craving for burgers! They look tasty! Despite being burned, they were – lol! Your burgers look great. My husband grills all throughout the year so I will be sure to pass along your recipe to him. Thanks so much for stopping by my blog and commenting. I really appreciate your visit. Brandi, thank you, show him the kabob recipe on today’s post as well. Happy Weekend! I love me some hamburgers! Good thing you’re able to fire up the grill a little while longer. Yes, I am like Bill Cosby…out there grillin in the snow!